The dignitaries from healthcare sector at the launch of first of its kind online courses by by the Infusion Nurses Society (INS) on 11th August at New Delhi. 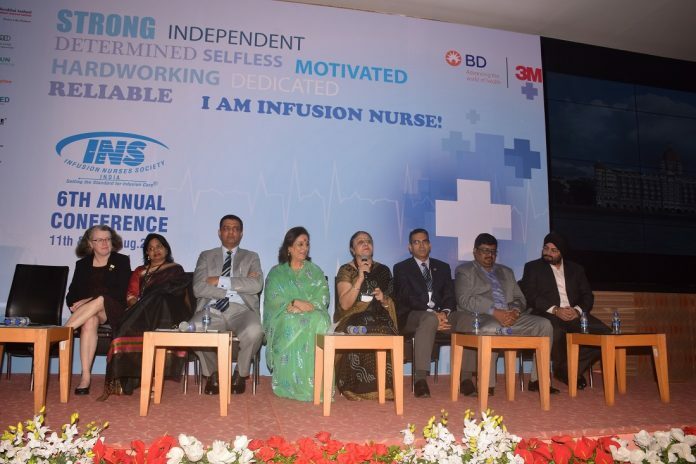 New Delhi: The INS India (Infusion Nurses Society) on their 6th National Conference, launched a new online course platform on infusion therapy for nurses pan India. 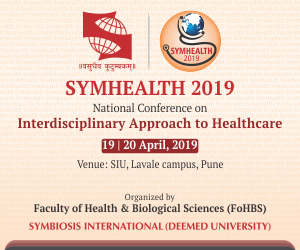 Utilizing the reach and ease of digital platform, the course is expected to enable INS members to access the various infusion therapy modules and speaker presentations from previous conferences through INS website. The first course would be on the Peripheral IV Cannulation. Nine out of ten patients admitted in hospitals receive infusion therapy during the course of their stay for therapeutic or diagnostic purposes. Improper infusion practices may lead to complications, causing an increase in mortality, morbidity, duration of hospital stay and healthcare costs. With such online courses and Android apps, INS India aims to empower nurses with digital tools in infusion standards for better patient care.